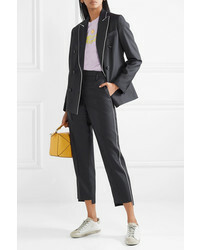 If you're on the lookout for a casual yet absolutely chic ensemble, dress in a navy blazer and Golden Goose Deluxe Brand golden twill straight leg pants from NET-A-PORTER.COM. These two garments are very comfortable and will look stunning when worn together. Complete your look with white leather oxford shoes. If you're on a mission for a casual yet stylish outfit, consider wearing a navy crew-neck sweater and Golden Goose Deluxe Brand golden twill straight leg pants from NET-A-PORTER.COM. As well as super comfortable, these garments look great when worn together. To add oomph to your getup, complete with navy leather pumps. 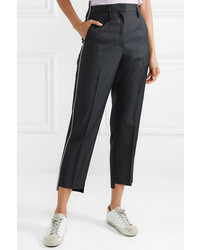 If you're searching for a casual yet totaly chic outfit, reach for a navy blazer and Golden Goose Deluxe Brand golden twill straight leg pants from NET-A-PORTER.COM. As well as totally comfy, these garments look wonderful when paired together. When it comes to shoes, this getup is finished off nicely with navy satin pumps. If you're on a mission for a casual yet incredibly stylish look, marry a navy blazer with navy dress pants. These two pieces are very comfortable and look wonderful together. Round off with blue suede heeled sandals and off you go looking stunning. This combination of a white button down blouse and navy dress pants is very easy to throw together in no time, helping you look on-trend and ready for anything without spending too much time going through your closet. Silver leather pumps are a great choice to round off the look. 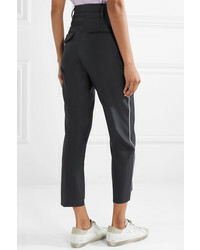 If you're looking for a casual yet chic outfit, make a navy blazer and Golden Goose Deluxe Brand golden twill straight leg pants from NET-A-PORTER.COM your outfit choice. As well as totally comfortable, both of these garments look great when worn together. White and black leather low top sneakers will add a sportier vibe to your look. If you're in search of a casual yet absolutely chic outfit, rock a white crew-neck t-shirt with Golden Goose Deluxe Brand golden twill straight leg pants. As well as very comfortable, both pieces look great when paired together. Amp up the cool of your getup by rounding it off with black leather heeled sandals. 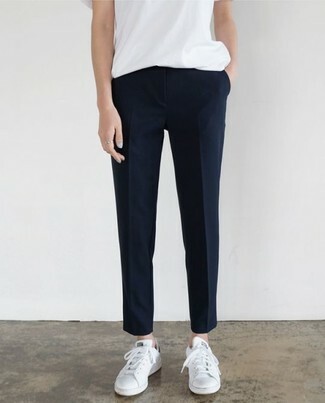 If you're scouting for a casual yet incredibly chic ensemble, go for a white crew-neck t-shirt and Golden Goose Deluxe Brand golden twill straight leg pants from NET-A-PORTER.COM. These items are very comfy and they will also look fabulous when worn together. Rock a pair of white leather low top sneakers for a more relaxed vibe. 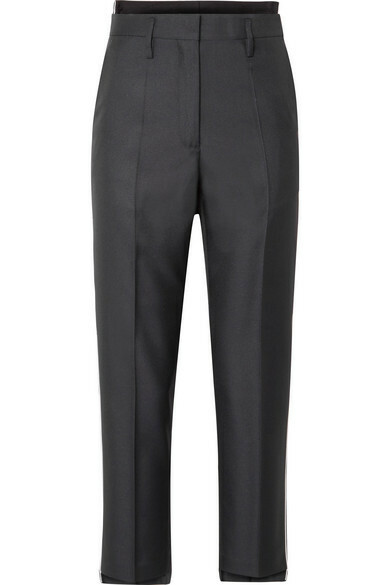 If you're on the hunt for a casual yet seriously chic look, rock a navy blazer with Golden Goose Deluxe Brand golden twill straight leg pants from NET-A-PORTER.COM. As well as super comfortable, these items look great paired together. To bring out a sassier side of you, complete your getup with white leather low top sneakers.